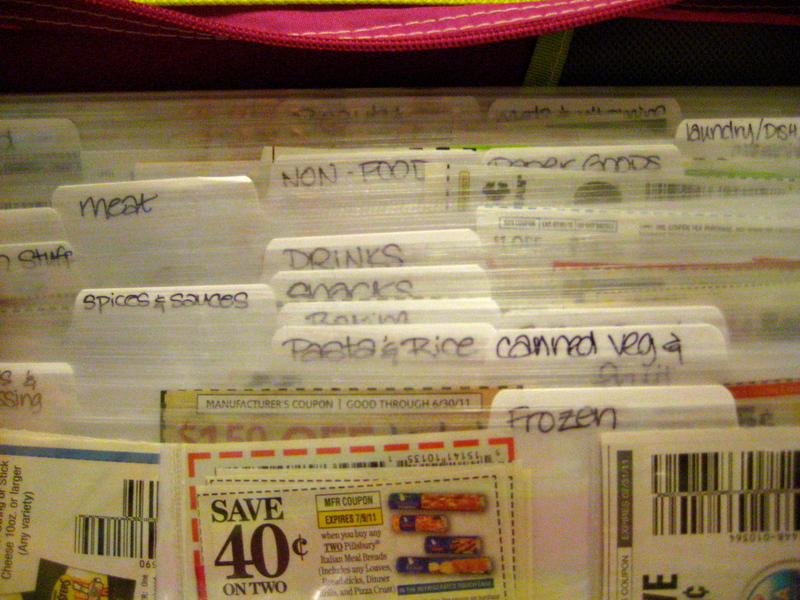 Organizing your coupon binder can be a daunting task. 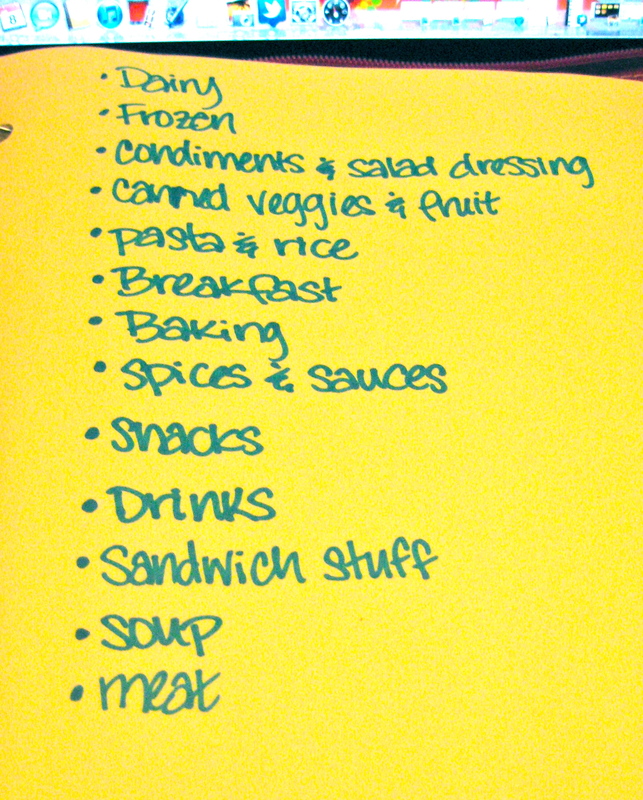 I needed some help with the categories so I asked Susan for her help. CSP chimed in too. I made a title page for the Food and Non Food pages and listed the categories so it would be easy to find a coupon in a flash. I don’t know why my pages are showing up yellow, they are white. Must be the lighting. Anyway, CSP helped me kind of order the categories by the way the stores are normally laid out. 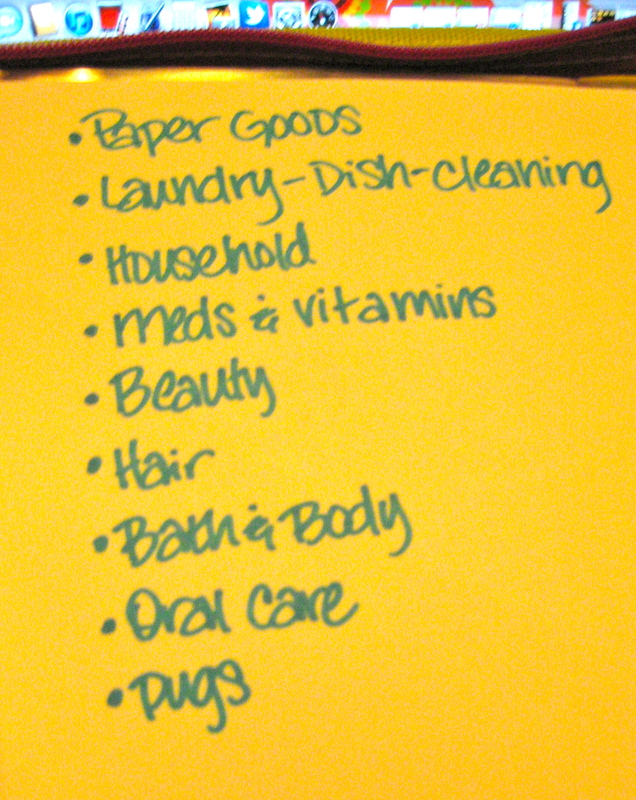 Some of the categories are a little vague but it lets me put things in a broad category like Household where I put candles. I am really liking this system!